Leopard offers a wide range of options for corporate and group travellers wanting to explore New Zealand. 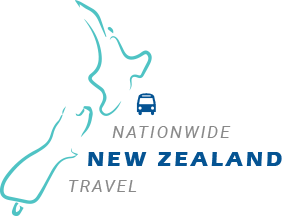 Five Star luxury coaches and Four Star deluxe coaches are ideal for transporting tour groups in comfort around New Zealand. Corporate groups may have interest in our ELITE fleet whilst we have a range of buses ideal for long distance school charters, or moving your sports group around New Zealand. Leopard holds a 5-Star Rating under the NZTA Operator Rating System. If you enjoy travelling in comfort you won’t find a better option for your tour group when travelling New Zealand, than Leopard Coachlines. We have a vehicle to suit the size of your group. Choose from our BMW limousines for 2-3 people to large 50-seat coaches, and other sizes in between. We are an environmentally friendly, family owned business, who have grown to become a major player in New Zealand's bus transport market. We have a highly-experienced and loyal team of drivers and support staff, and our staff retention is well above the industry average.